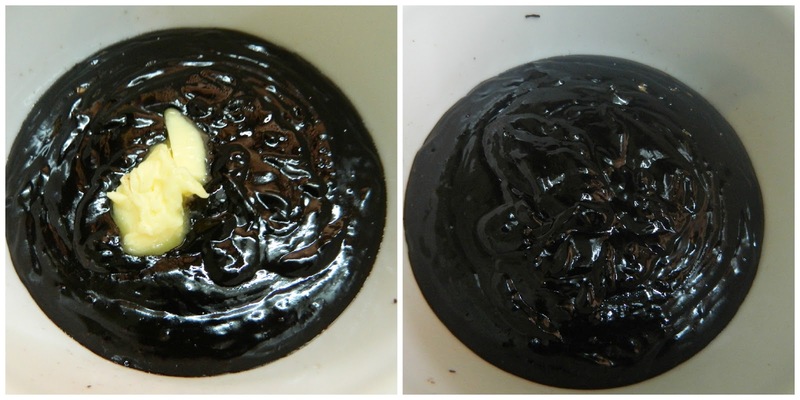 Preheat the oven at 180 degree C and grease the bundt pan well. Stir together coffee powder,hot water and vanilla extract in a small bowl and keep it aside. Sieve all purpose flour,cocoa powder,salt,baking powder and baking soda. 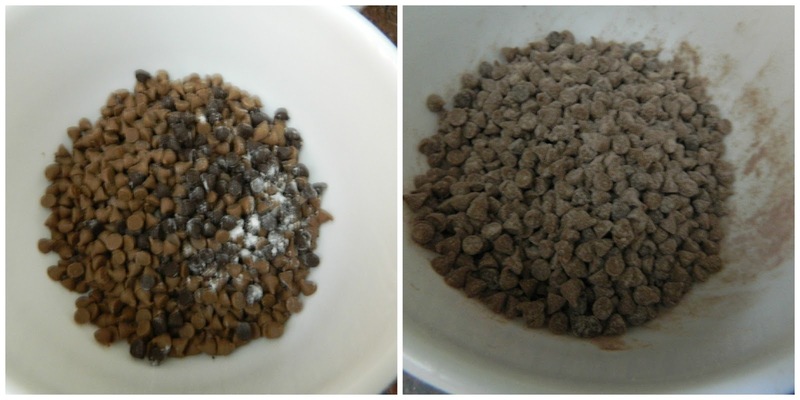 Take one more small bowl and add a tbsp of sieved flour in the choco chips,mix it and keep it aside. Cream the butter for a minute and add sugar in 3 lots. Add brown sugar and beat for 2 more minutes. Add eggs one at a time beating for 45 seconds each after each addition. Mix in the coffee mixture and beat again. Scrape the sides and mix well. Fold in the sifted flour and curds alternatively in 3 additions of the flour and 2 additions of the curds. Switch to a spatula and fold in the choco chips. Pour the batter in a prepared pan and bake for 40 – 45 minutes or until the skewer comes out clean when inserted after the given baking time. Cool the cake in the pan on a cooking rack for 10 -15 mintues. Loosen the edges with a knife and remove the cake from the tin and let it cool for 20 – 25 minutes. Pour ganache and let it set for 10 minutes. In a thick bottomed pan heat the fresh cream until bubbles starts appearing on the sides. Mix in the chopped chocolates and mix it well. Switch off the flame and let it sit for 5 minutes. Whisk well until all lumps disappears and ganache becomes smooth and creamy. Mix in the butter and let it cool down completely and come down to room temperature.